Most people go to Sergiev Posad to visit the Holy Trinity St. Sergious Lavra. What if you step a little away from a regular tourist route to get a truly unique experience? Below are a few ideas of what you may do in Sergiev Posad besides the Holy Trinity St. Sergious Lavra. 1. Why not go inside an old-style kitchenette? 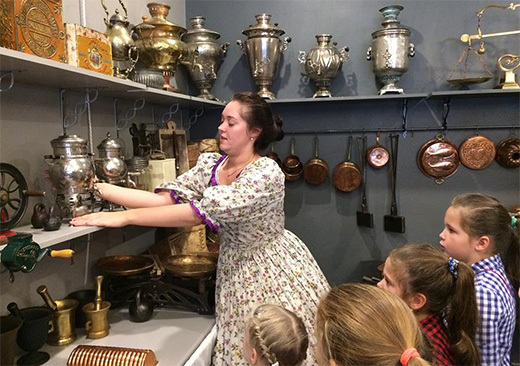 During the interactive excursion you will get to know early 20th century household items, try and see how they work, taste unusual food prepared from old culinary books and make caramel known as landrine. After the museum tour you might enjoy lunch in the restaurant where meals from old-style recipe books are being cooked. 2. 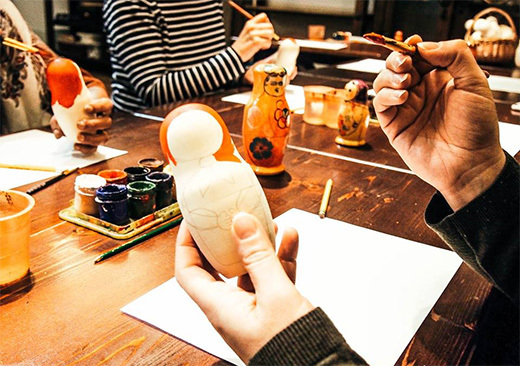 Did you know that Sergiev Posad is a birthplace of Russain matryoshka nesting dolls? You can try to make your own one and bring this souvenir made with your own hands back home. 3. 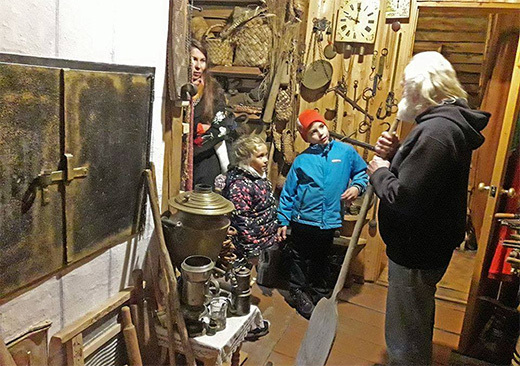 You may stop by in the house-museum of a local artist who can tell you intriguing stories of various old things from his collection. There you can touch everything. Children are especially welcome. Each of these attractions can be added to the classic visit of the Holy Trinity St. Sergious Lavra. Why not have fun in Sergiev Posad and dance to music of an old gramophone?